The word Jermuk comes from the Armenian word for warmth, a reference to its plentiful hot natural springs and mineral waters. A resort town located about 170 km south-east from Armenia's capital Yerevan, this picturesque and pristine resort is nestled in mountains rising over 2 kms in altitude. 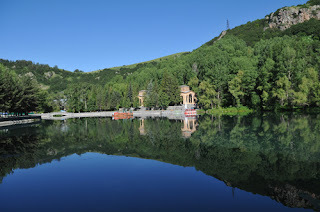 Today Jermuk is a revitalized growth of tourism as health spas, medical treatment and tourism, and more traditional touristic destinations offer their services to both local and international guests.